Sawyer Fredericks is the announced winner of The Voice 2015 Season 8! Meghan Linsey finished 2nd, Joshua Davis placed 3rd and Koryn Hawthorne 4th. Sawyer Fredericks from Team Pharrell was named as the The Voice 2015 winner on Tuesday, May 19, 2015. 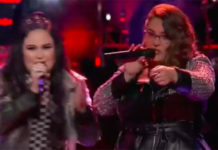 The 16-year-old singer from Upstate New York, who brought powerhouse performances to the top-rating singing competition The Voice, beats Koryn Hawthorne, Meghan Linsey and Joshua Davis in the public vote. 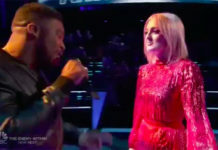 On Monday, the Top 4 finalists — Sawyer Fredericks, Koryn Hawthorne, Meghan Linsey and Joshua Davis — performed three songs each. Sawyer Fredericks brought outstanding performances of ‘Summer Breeze’ and ‘Old Man’. He also performed an original song called ‘Please’ as his first single during the finale episode – his winning performance. 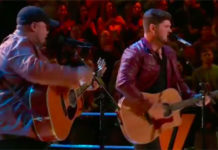 The winner was announced at the end of a two-hour finale featuring performances from Maroon 5, Ed Sheeran, Kelly Clarkson, Meghan Trainor, Luke Bryan, John Fogerty, and Sheryl Crow. Sawyer Fredericks took home the $100,000 cash prize and earned a recording contract with Universal Republic Records.